← Listen to Lauren on Armchair Expert Podcast! is a New York Times Best Seller!! 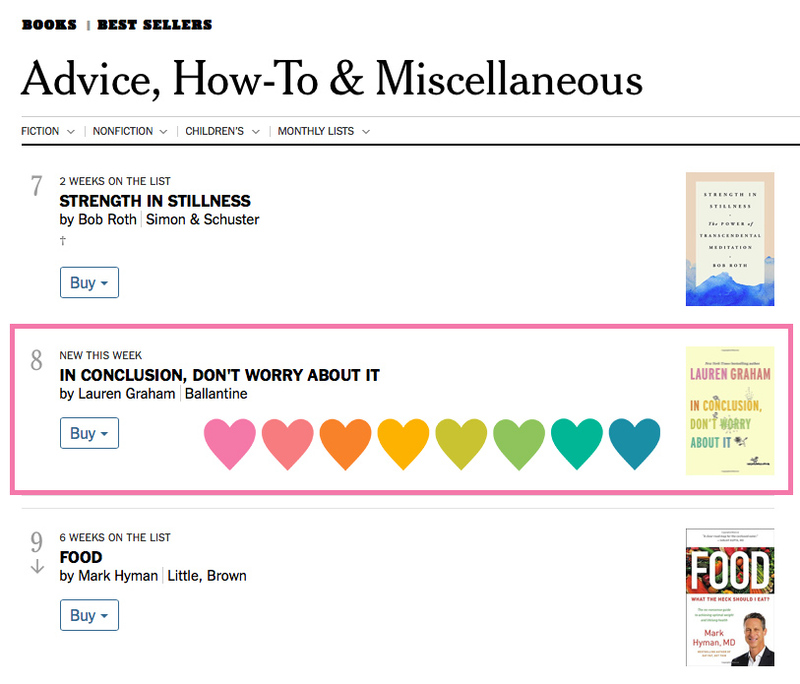 The book is N° 8 on the Advice, How-To & Miscellaneous list ! This entry was posted in book, In Conclusion Don't Worry About It and tagged book, In Conclusion Don't Worry About It. Bookmark the permalink.